Rep. Tom MacArthur, R-N.J., has drawn up a proposed amendment to the GOP health care bill, hoping to attract enough support to pass the House. House Republicans are mulling over new changes to their health care proposal, hoping to wrangle enough votes to pass a bill that would allow them to keep their campaign pledge to repeal and replace the Affordable Care Act. The latest proposal allows states to make changes to the ACA's rules governing health insurance policies and markets, in an effort to allow some states to offer stripped-down policies with lower premiums. 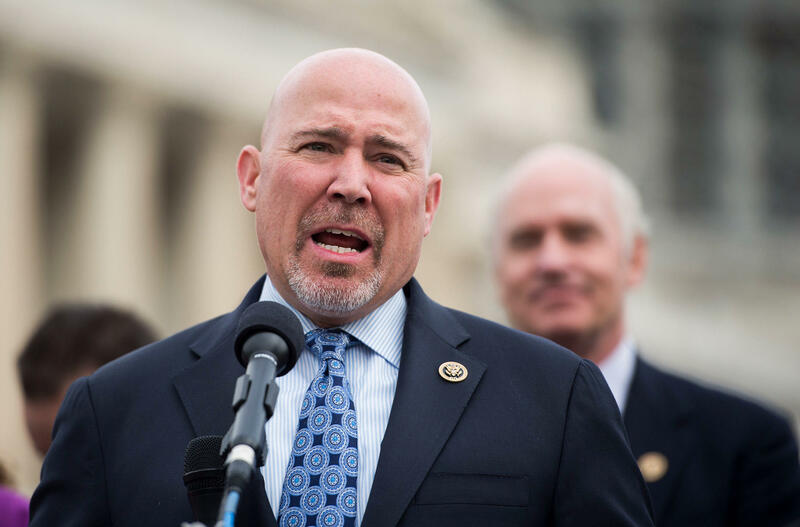 The proposal represents a deal between Rep. Tom MacArthur, R-N.J., who is the head of the moderate Tuesday Group, and Rep. Mark Meadows, R-N.C., who leads the far-right Freedom Caucus. The two groups could not agree on details of an earlier health care plan championed by House Speaker Paul Ryan, known as the American Health Care Act. The new proposal, which was reported by Politico and The Huffington Post, is an amendment to that bill. It consists of a summary and bullet points rather than legislative language. Without the full language it's unclear whether the plan could bring in enough votes to pass, says a senior House Republican aide. The proposal retains many of the popular consumer protections of the Affordable Care Act, including ensuring that people with pre-existing medical conditions cannot be refused coverage or charged more. MacArthur, on his Facebook page, said the plan "will make coverage of pre-existing conditions sacrosanct for all Americans." But the plan also allows states to waive those protections. If states requested waivers, people with pre-existing conditions would likely be covered through state-run high-risk pools, which can be expensive for patients and for taxpayers. Many states used high-risk pools before Obamacare with limited success because they weren't adequately funded, according to a study by the Kaiser Family Foundation. The plan "would make coverage unaffordable for many older consumers and would segregate high-cost consumers in coverage that would likely be inadequate," says Timothy Jost, a professor emeritus at Washington and Lee Law School who writes a health policy blog for Health Affairs. The proposal could also cause premiums to spike for people with medical issues, according to comments posted on Twitter by Topher Spiro, vice president for health policy at the left-leaning Center for American Progress. A person with diabetes could see premiums rise by about $5,600 while someone with metastatic breast cancer could be charged an additional $142,650, he says. There are some protections against such premium spikes in the proposal, says Rodney Whitlock, vice president of health policy at ML Strategies, who was a Republican Senate staffer when the Affordable Care Act was passed. He says language that forces states to promise their changes would still protect people with pre-existing conditions, and result in lower premiums, invites people hurt by the changes to sue the state. The proposal doesn't mention Medicaid at all, so it may do little to bring in support for the Republican bill. That's because the American Health Care Act was killed in part because it rolled back Medicaid coverage for millions of low-income people, something moderate Republicans opposed. "I have a hard time believing that this will be acceptable to moderates in the House, much less the Senate, and will certainly be opposed by all Democrats," Jost says.